Although cranial irradiation treatment for brain cancer is a life-saving treatment, often patients suffer from progressive and debilitating cognitive detriments, including spatial learning and memory deficits. The cognitive deficits are a contributing factor to the often significant adverse impacts on the surviving patients' quality of life after radiation therapy. In an effort to improve post-irradiation cognitive impairment, researchers at the University of California, Irvine, and colleagues at Neuralstem, Inc. (Rockville, MD), have transplanted fetal stem cells into laboratory animals with radiation-induced cognitive impairments and found that this led to a number of cognitive improvements. "Multiple mechanisms contribute to disrupted cognition following irradiation for patients with central nervous system malignancies. These include the depletion of radiosensitive populations of stem and progenitor cells in the hippocampus. Interventions to combat long-term brain damage resulting from toxic radiation and chemotherapies therapies have yet to be developed. 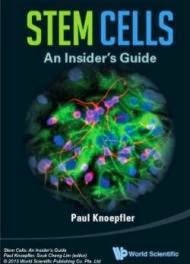 However, stem cell replacement strategies may provide a much needed intervention." said study co-author Dr. Charles L. Limoli of the Department of Radiation Oncology at the University of California, Irvine. "The engrafted stem cells survived and differentiated throughout an area of the hippocampus and significantly ameliorated cognitive dysfunction as shown at a one-month follow-up on the irradiated animals. While it is premature to presume efficacy in the absence of human data, our efforts to thwart cognitive dysfunction by cell replacement therapy with fetal stem cell transplantation may provide an experimental backdrop for a potential treatment for cranially irradiated patients who developed cognitive dysfunctions." said Dr. Limoli. 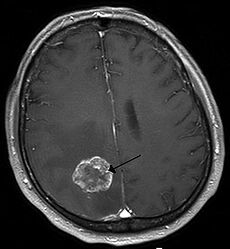 "Cognitive dysfunction is an unfortunate side effect of the therapeutic use of radiation therapy for brain cancer and the identification of ways to ameliorate the dysfunction, such as the application of stem cell transplantation, is a significant area of research. This study is an important step towards the development of a clinical therapy, though further research is still required." said Dr. Paul R. Sanberg, distinguished professor at the Center of Excellence for Aging and Brain Repair, Morsani College of Medicine, University of South Florida, Tampa, FL.